In early 2014 I have set a goal: to go to Luang Prabang in Laos. We have wanted to go for years but 2014 will be the year with a little bit of luck and health. 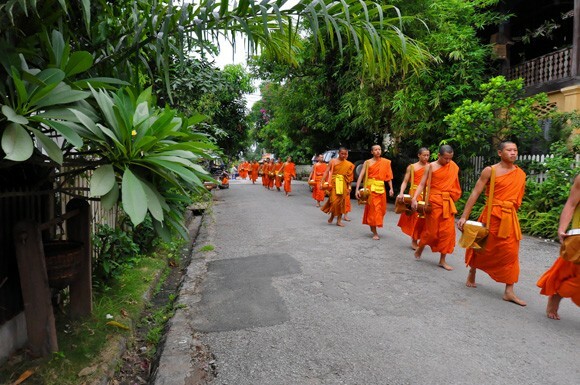 It is well known for its alms giving ceremony to a procession of monks, which for good, bad or indifferent has become quite a tourist destination so that they may participate in the ceremony. Trekking or backpacking is also popular in Laos and while my backpacking days are pretty much over I do plan to trek into a literary charity doing a lot of good for Laotians. It is called Big Brother Mouse. 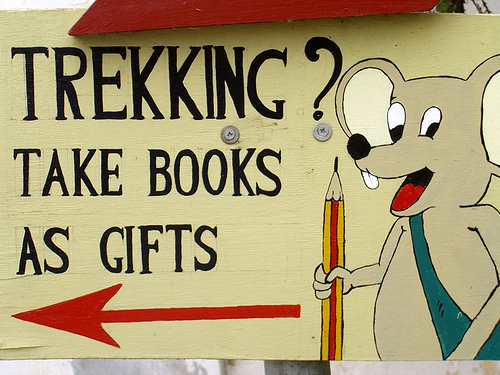 The purpose of Big Brother Mouse is to get as many books into the hands of as many Laotians as possible. I think it is a good program. It has been recommended by people I trust. I still remember the first book that had an emotional impact on me. 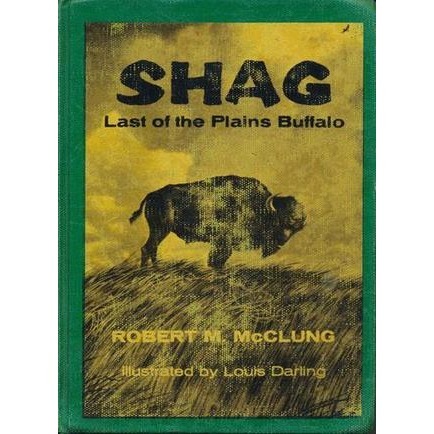 It is called, SHAG – Last of the Plains Buffalo. Written by Robert M. McClung and illustrated by Louis Darling. The first edition came out around 1959. I read it around 1962. I was pleased to learn recently that it is still in print and being sold. I have been to Laos only one time. I was struck by the peacefulness of the country. More than once I have heard that Laos is like Thailand used to be. I look forward to the trip. It’s good to have goals and it’s good when the world of reading is brought to young people living in less fortunate countries. 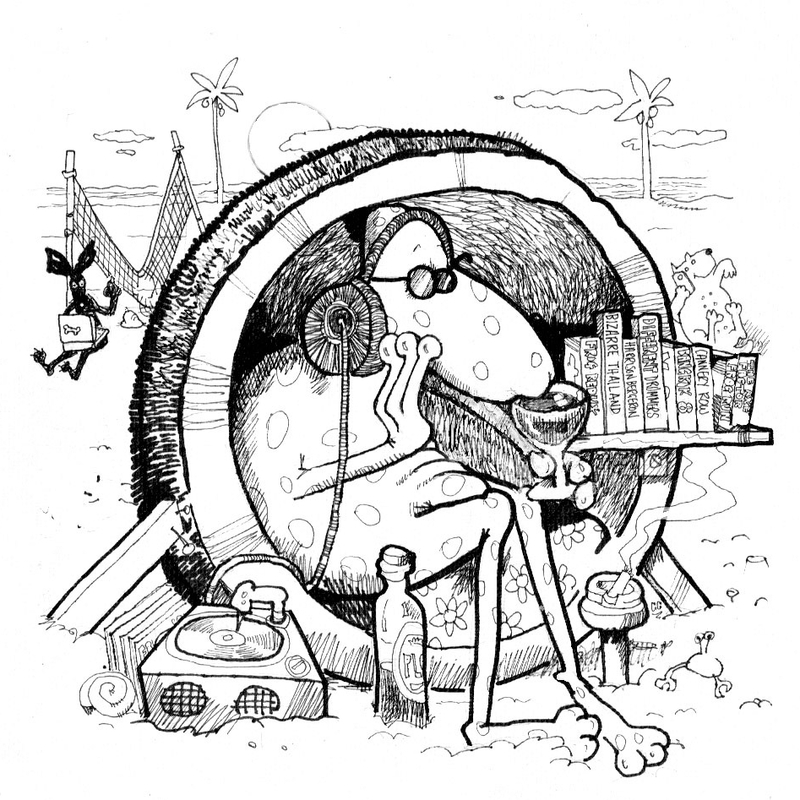 You’ll be hearing more about Big Brother Mouse in the future, when I share a post about a frog, a mouse and a dog. I have never visited Laos after all of my time spent in Thailand throughout the last 30 years. I certainly intend to. Good post. Thanks, Trevor. Good timing. I had just finished reading your post about complaining. I have never seen you as a complainer. Good on you, for that. Thanks Kevin, more the occasional rant than anything else. It was more a light-hearted effort with perspective at the end of it. In view of course of the recent tragic events in the Philippines. Yes. As the saying goes, “Don’t sweat the small stuff.” In the Philippines they are dealing with the big stuff. Mother Nature for one. Sent a link to this page to my sister-in-law in Canada, who has long campaigned for more literacy among children and others. She has had projects in Canada and Nicaragua, among other places.